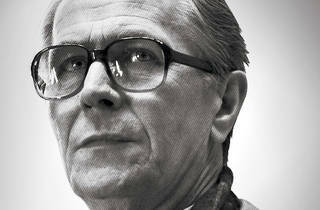 The British actor’s artfully subtle performance in Tinker, Tailor, Soldier, Spy may nab him his first Oscar nom. Semi-jokingly, I ask Gary Oldman if he’s prepared an awards speech for Tinker, Tailor, Soldier, Spy. 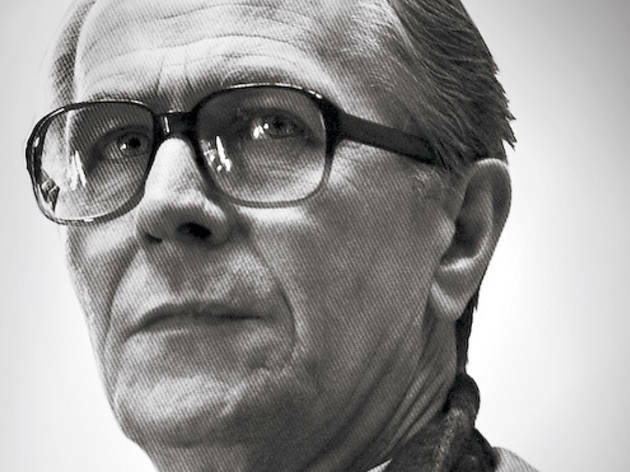 In Tomas Alfredson’s adaptation of John le Carré’s 1974 novel, Oldman plays George Smiley, an agent in the Secret Intelligence Service who tries to ferret out a Soviet mole. Oldman’s response is a little strange. After a standard demurral—“I haven’t thought about it”—he adds, “It’s nice that people like the work. This is all very new, and I’ve not experienced it before.” What’s strange is that the veteran performer—long called one of the best actors not to have an Oscar nom—hasn’t yet received the kind of attention he’s now enjoying. The Briton recently sat in a Mag Mile hotel room, wearing a dark gray ribbed sweater, beige corduroy pants and tortoiseshell glasses. The quiet, thoughtfully assembled quality of his dress mirrors that of his speech. You’ve played a number of character and villain roles in the past decade. Here you’re not only the lead but a very understated one. Did you feel you were building muscles that hadn’t been used in a while? It felt like what we call proper work, and that’s not to make the other work sound less good. It was just a joy to be asked to play something as quiet as this and to run a scene from a passive position rather than physicalize the feelings and the emotions, which I’ve sometimes been asked to do. He’s a very, very distant cousin to someone like [Batman’s] Jim Gordon. Morally, I think, they’re very close, and physically they have a world-weariness to them. They’ve lived a life. I wanted to ask about that world-weariness: When Tomas offered you the role, he told you, “Your face. It looks like you’ve lived a bit,” and you answered, “Yes!” What in your having lived a bit came to bear on your Smiley? You can’t play Smiley when you’re 25. You can play older than yourself. You can play younger than yourself up to a point, and then that just becomes impossible because you carry a weight with you that you can’t shift, unless you have very boyish looks. But you don’t just mean a physical weight. There’s a metaphysical kind. He’s a man who has been betrayed, and he’s been cuckolded; he has been unlucky in love, a little socially awkward. I know what all those things feel like and have been through my own—I’ve just been through my—there’s things that you don’t have to search for anymore. You take what you know, and you put it through your own prism. If I play characters that break down or cry, it’s Gary Oldman crying; it’s not the character crying. Does it ever feel, then, as if you live in service of that prism, or is it more retrospective? You feel that you live in service of it, yes. How has that happened for you—an emotional experience that served you as an actor? I used to use my father a lot. [Pauses] It’s a well that is dry. But I used to use it. Your father left your family when you were very young. So, for example, tapping that abandonment? Yeah, whatever you—whatever it is. You know, you hear these people say [In a sharp American accent], “Oh, my God, I must remember this for my acting class! I must remember this feeling!” And I don’t think you put them away, but I don’t know of any other way to do it than draw on your own experiences. I’ve lived. I’m 53 and have lived through enough stuff to know what it’s like when I look outside that window [in the film] and I see Ann with Bill Haydon [played by Colin Firth]. The cuckolding you were talking about. There’s a lot of Oscar talk about your performance, yet Smiley never has the big motivation-explaining speech the Academy Awards love to excerpt. Tell me about playing a character who leaves so much unsaid. When explaining your recent work in the fantasy genre, you’ve said those films allowed you time to raise your sons as a single dad. Will your choice of films differ now that your sons are in their early teens? Well, I want to direct again. Is that a change from the past? No, I’ve always wanted to direct. I probably said I don’t want to act again. Why would you not want to act again? Oh, you know—[this film has] rekindled my love for the work. I’ve always been on the verge. [Laughs] I flip-flop. I fall in and out of love with it. Thirty-one years. It’s a long time to do something, you know. I’m not complaining. It’s not hard work. I did things before I was an actor, and I know what real hard work is. Tinker, Tailor, Soldier, Spy opens December 16.